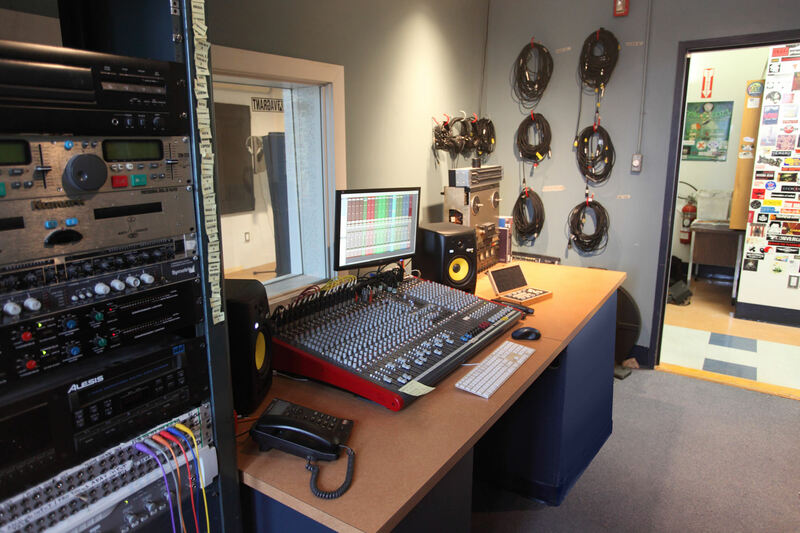 CJLO’s production department has a fully equipped recording studio along with a separate sound-proof recording room. This studio employs digital recording and mixing equipment, along with a new Allen & Heath Zed 428 Mixing Board and complete drum set. The production department offers many services to CJLO members and the community alike and all of our producers are trained and highly skilled. For studio rates and equipment specs please see below. For examples of in-house recordings please see our sessions. CJLO's studio is an ideal place for your band to record their next project. Recording rates are inexpensive, and selection of recording time is very flexible. 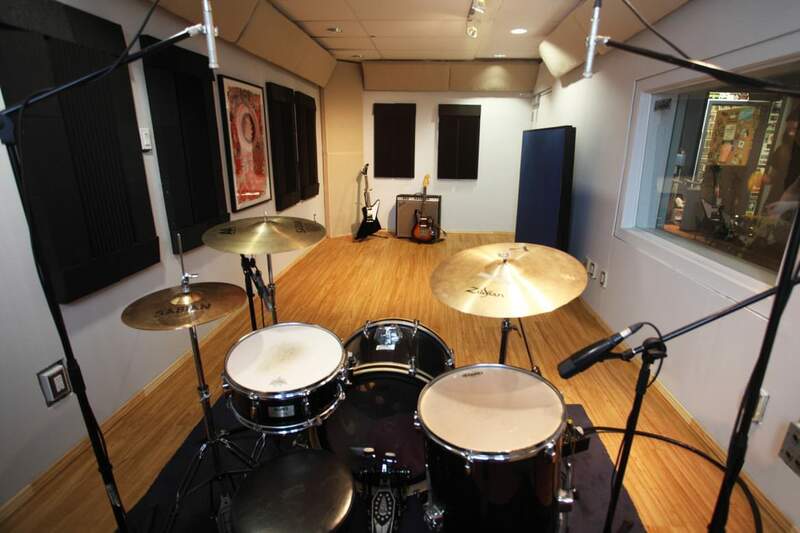 The studio can be provided, along with sound engineer and some equipment, for a serious recording session or for simply a recorded jam session. The studio can also produce professional commercials or other spoken word content. The CJLO production department is ready to help all DJs with technical issues related to their radio shows. You can borrow a digital recorder and microphone for interviews, and we can help you with the recording and editing of special features, as well as creating show IDs or intros. 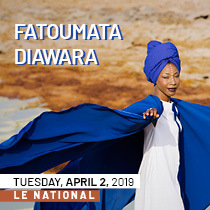 Also if you can organize an artist or band who is touring through Montreal to visit the station, live sessions and interviews can be performed and recorded. Patrick studied Electroacoustic Studies at Concordia University in Montreal 2010 - 2015, where he focused primarily on recording, mixing, and composition, preceded by a certificate in the Professional Audio Production Program at Precursor Productions in Winnipeg. He is Production Director at CJLO 1690 AM and owns Soundhole recording studio in Montreal's Mile-Ex neighbourhood. Patrick records and mixes genres from Indie to Folk to Metal, and has worked with Smokes, Heathers, Hoan (previously Kurvi Tasch), Fleece, Saxsyndrum, No Aloha, Archery Guild, Towanda, and Holy Data. CJLO gives a HUGE thank you to the Concordia Council on Student Life for helping to fund the development of our Production Studio. Please keep an eye out for production and recording workshops for students in the near future.